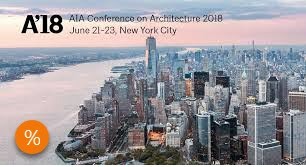 What should I attend at A'18 AIA Conference on Architecture in NYC? If you are like me, I get overwhelmed by the vast amount of programs that are offered at AIA National Conference on Architecture. Add on that next week's marathon of events will be held in multiple locations in New York City and you have yourself a "deer in headlights." Have no fear, we have taken the guess work out of your experience with quality content that has been curated by topics we hold near and dear to us. Of course we will showcase the EQxD Seminars that we have crafted and honed over the past 4 years. We also want to expand our reach to those seminars that amplify our core values and mission. 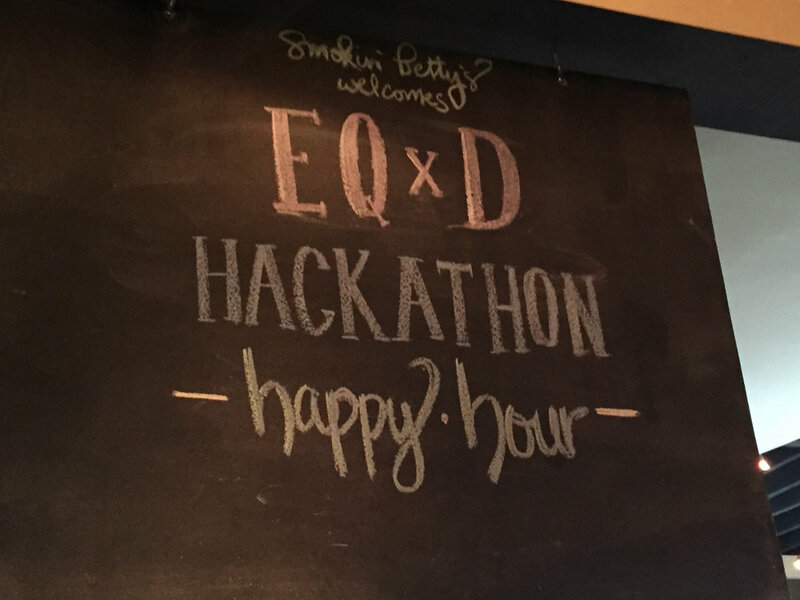 Celebrating its 4th year, the EQxD Hackathon is an experience described as action-oriented and career changing. Groups of thought leaders, licensed architects, and emerging professionals will assemble in an incubator-like setting to apply radical thinking to develop transformational concepts for improving justice, equity, diversity and inclusion in architectural practice and the communities we serve. The event will lead off with luminary panelists, Danny Guillory of Autodesk, Katherine Darnstadt of Latent Design, Lilian Asperin of WRNS Studios, and Frances Choun, Equity Champion and long time past sponsor. Teams will present their hacks and the winner will have the opportunity to launch their concept into practice. This year we are excited to welcome #EQxDHack18 Scholarship Winners! Are you interested in building a more equitable workplace, but unsure of how to start? Do you have expertise on an equity issue that could benefit others? In either case, the Equity and the Future of Architecture Committee wants your feedback on a new series of Equitable Practice Guides designed to provide strategies for advancing equity within your workplace. Come ready to learn about EQ+FA's work, and to contribute your ideas towards a guidebook poised to shape the future of design practice. Pay transparency is a polarizing topic. Some argue that it has the potential to increase pay equity while improving trust and employee morale. Others argue against it, citing concerns that it prevents them from rewarding high performers and puts them at a disadvantage in a competitive talent market. Join this lively discussion and debate about the benefits and drawbacks of pay transparency. You'll hear a moderated panel discussion that will engage leaders from award-winning, nationally recognized firms. You'll also be able to assess whether pay transparency is a management strategy you would find beneficial in your own firm. What are the other must attend events at AIA Conference and Beyond? Last year we introduced the concept of J.E.D.I Architecture - Just, Equitable, Diverse and Inclusive ways that we, as citizen architects and civic design advocates, can transform our practices into vital, valued and relevant services to better serve our communities. Times Square is the most visited place in New York, with over 40 million people passing through every year. Designing an open space where people want to gather while considering the security concerns of a post-9/11 New York was a unique challenge. Safety and security were critically important in designing New York's newest plaza, as evidenced by closing Broadway to car traffic and giving two-and-a-half acres back to pedestrians in the middle of Manhattan. Join Craig Dykers, founder of Snohetta and partner-in-charge of the Times Square plaza, to discuss the designer's critical role in dealing with security and freedom in public space. Structural disadvantages-racial segregation, poor infrastructure, and chronic underinvestment-have a significant impact on who benefits from community investment. Vulnerable communities are often disproportionately affected and often experience lasting consequences. Communities under stress, such as Boston, New Orleans, and Ferguson, Missouri, have revealed the lasting effects of segregation and racism and points of weakness that can no longer be ignored. Join us for this enlightening session to explore these complex issues in greater depth. A former mayor, former chief resilience officer, and two practicing architects will examine the complicated intersection of architecture, public health, climate change, and racism. Successful design and planning were never limited to the drafting table. When practitioners recognize the value of sharing their time, talent, and training to effect change in their communities, transformative worlds emerge. This panel will discuss how the role of architects shapes and supports state and local government before, in response to, and after a disaster. Come with an interest in doing more. Leave with a plan of action! Join us for a captivating moderated discussion with A'18 Day 1 Keynote Speaker and AIA Awards recipients. They'll be discussing topics such as leading change in the profession, legacy, community impact, etc. As global cities address the need for more affordable housing, little attention is paid to how these communities become socially and economically resilient. Amenities, including education, healthcare, retail, and open space are essential, along with civic engagement. Low-rise, high-density (LRHD) housing prototypes have introduced quantifiably better models for urban living compared to "tower in the park" models. Join this session and hear from an expert panel as they examine LRHD models around the globe and discuss the future of affordable housing and resilient communities. Good cities demand excellence in brick and mortar - but also in inclusion and equity. Join this review of best-practice examples that illustrate how you can overcome "design of exclusion" from intended or unintended planning paradigms. You'll hear how you can engage your community using the pillars of professional ethics; support reinvestment in existing communities through co-ops, land trusts, and CDCs; leverage the cultural and physical DNA of the industrial legacy city; grow equity through "smart city" innovation and startups; and more. When it comes to shaping our futures, knowledge is power. This session will deliver real resources for effective practice. Interested in learning how to integrate social impact work into your firm? We will discuss different models to operationalize community impact design. You will hear from four types of organizations’ traditional Architectural service firm (Leddy Maytum Stacy Architects), a nonprofit design & real estate development firm (Designing Justice + Designing Spaces), an international design network (Open Architecture Collaborative), and a nonprofit doing graphic design advocacy with communities (Center for urban Pedagogy). Each of these organizations takes a different approach to defining its services to reach its ideal clients. You'll learn how certain services that might seem nontraditional actually support the organizational mission while generating revenue to fuel growth. This session is part of the Pro Series, four seminars covering advanced topics. The Pro Series sessions are free with your A'18 registration. These sessions cover topics focused on celebrating, advocating and advancing women into leadership and ownership of professional practices. Throughout the architectural profession, more and more women are sitting at the leadership table, or at the head of that table. Hear from three different perspectives on what that leadership table looks like today and how they got there. What does increased leadership roles mean for women, and how have they changed their firms and the profession? How do they leverage their strengths to make a difference? Change within organizations can happen slowly and these leaders have been at the forefront, reshaping the firms and the practice of architecture. Learn from leaders who have carved paths to the top and hear how they hope to profession evolves in the future. What's possible when you bridge the gap between young female designers and leaders in architecture? This session is a reflection on a one-year experiment on design equity in Boston called the Girl UNinterrupted Project. The experiment served three key functions: It offered a manual to young designers on how to jump-start careers, it provided firm leaders with an understanding of young designers' struggles, and it offered suggestions for creating an office culture that is equitable and maximizes talent. Gain critical insights from these firsthand accounts, and bring practical knowledge back to your practice. Women architects and firm owners still have meager access to steady and meaningful project opportunities. Licensing statistics are low for women, and they also face roadblocks to prosperity and equal access similar to small firms. This session takes a critical look at the reasons why. Join this solutions-based discussion addressing the gender disparity that is still pervasive in the architecture profession. Led by a woman FAIA and a panel of public sector leaders, you'll dissect how to expand access to steady and meaningful project opportunities for women architects and small firm owners. You'll explore potential solutions, including how public sector could make a difference. Every organizational leader has the responsibility to create a culture that values diversity, demonstrates respect, and is free from any form of harassment or discrimination. This session will cover both the compliance and legal issues related to harassment in the workplace and will outline the values, norms, and practices that must be in place in order to prevent harassment from being a common occurrence. The presenter will introduce participants to the most current information regarding forms of harassment in the workplace and the federal laws that prohibit it. She will also help leaders understand what constitutes inappropriate behavior, what actions must be taken to address it, and how they can create a more respectful, inclusive, and harassment-free workplace culture. Panelists will provide an introduction on the topic of harassment, and there will be an open forum in which participants will be able to raise various factual scenarios for discussion. The panelists will respond to questions, covering prevention, reporting and long-term remedies. The session will also cover key resources, including relevant government agencies and other organizations, as well as educational resources. Abstract: Design should create a feeling of social, racial, and cultural equity. These leading architects are challenging the industry to create spaces that change behavior and advance inclusivity. Attend this session to learn how. Now What?! is the first exhibition to examine the little-known history of architects and designers working to further the causes of the civil rights, women’s, and LGBTQ movements of the past fifty years. The exhibition content, conversations, and stories will inspire a new generation of design professionals to see themselves as agents of change by looking at the past to see new ways forward. Inspired by the energy of the flash mob event from the Voices of Women (VOWArchitects.com) in Venice, a consortium of architectural activist groups and individuals will gather as a united group for "Voices of Equity" to support the equitable treatment of all design professionals of diverse identities and backgrounds. We will gather to show solidarity and share in reading a manifesto for dignity and respect for all. Stay tuned for more information. Meet #EQxDHack17 Winners - TEAM S.P.A.R.C. How did we define our problem? How can we redefine and re-engage mentorship within the practice of architecture? We agreed that mentorship (as a framework) is the key to success at two scales: at a firm, and for the profession. In all candor, we shared with each other that we had a difficult time with the word “mentor” as it came with so many preconceived notions and, therefore, a negative connotation implying limitations. 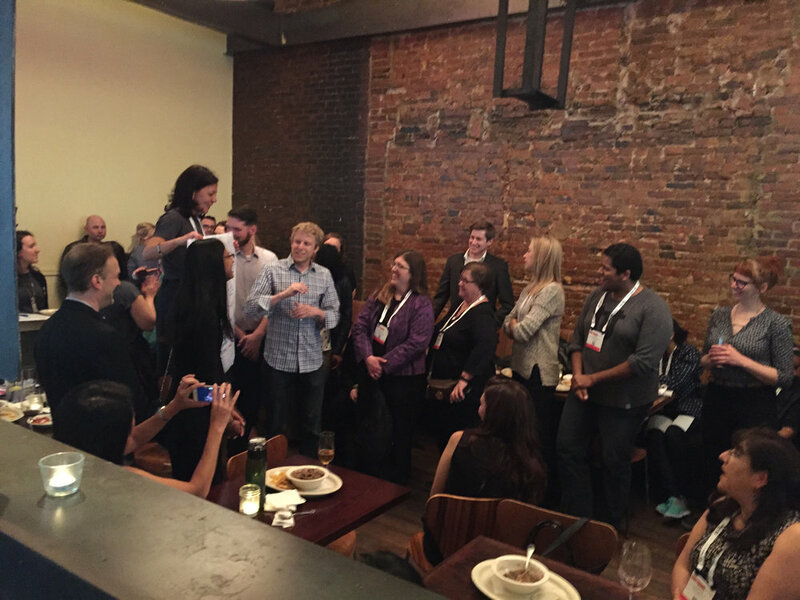 We didn’t want our mentorship network to work in a singular (usually top-down) direction. It was important to our group that mentorship works in every way (peer to peer, employee to employer, student to practitioner and vice-versa). Redefining the word “mentor” lead us to our a-ha moment. We found a spark, and with that came our answer. Mentorship is about connectivity, feeling supported, and being valued. But beyond this, you need the opportunity to find a potential mentor - a partner to have a dialogue with about the multiple facets of our professional life. Introducing: SPARC, the Social - Professional - Architectural - Resource - Community. We questioned what makes a mentor/mentee relationship work. This app, SPARC, will provide the architectural community a way to connect with people regardless of geographical location. By expanding the idea of what mentorship can be, we can connect people beyond an individual firm, location, gender or age, in order to share our collective knowledge to better ourselves and improve the profession. SPARC is a mentor match-making App. As a user, you would input your areas of expertise to build your profile. These are the areas in which you will be asked to participate as a mentor. The app is searchable by topic. To use this function, you will search for a topic for which you need help or advice. The app will then provide you with the users who have listed this as their area of expertise and passion. You can then start a conversation on the spot for quick, reliable answers. These relationships can be as simple as asking about a flashing detail or as involved as asking for advice for your career path. One of the main features of the EQxD Hackathon was to have each team prepare and present a 5 minute elevator pitch to communicate the game changing solution that each group identified. There were several criteria that the jurors would be evaluating each team's pitch - Relevance to equitable practice issues, user experience & feasibility, impact & metrics, as well as clarity and creativity of the pitch. Teams were told that they could use any means available to communicate their ideas. Using improv, poster paper with illustrative sketches, and rigorous group rehearsal outside the main room in the quieter hallway of the convention center, Team SPARC was able to capture the audience with humor (Tinder for Mentors...) and creativity (Roll down paper to spell out S.P.A.R.C.) in order to communicate a strong idea for meeting the challenges of mentoring in the profession. "Swipe right on your career". TEAM SPARC : (L to R) Amanda Dunfield, Tom Powers, Sarah Glass, Patricia Canevari, Stephanie Herring and Bryan C Lee Jr. Sharing the Pitch with at the #EQxDHack17 Happy Hour - "Swipe right on your career". I came to the hackathon not quite understanding what we would actually do and left with a tool that can be used within any setting, for any problem, with any group. The hack process lead our team from identifying an entrenched challenge to quickly developing what seemed like an outlandish solution at first. The deeper we dove, the more real the idea became. By being open to all ideas and by following the energy of the group, the initial “crazy” idea turned into something meaningful and worthwhile, convincing all of us of its value and immediate need. Special Thanks to our #EQxDHack17 Sponsors! Meet the Hackers! #EQxDHack17 Scholarship Winners! We are very excited to announce our 3rd EQxD Hackathon A'17 Scholarships! Today we introduce the 10 future leaders that will be joining us on Wednesday, April 26th in Orlando for the most anticipated workshop of the A'17 Conference on Architecture. We appreciate all that submitted applications for consideration - it was a really tough decision! Please consider joining us for this life changing experience that will propel your professional development (and career). If you haven't heard about #EQxDHack17, click below for more info. Atianna Cordova - M.S. Candidate in Disaster Resilience Leadership at Tulane University, La. Atianna is a graduate of Louisiana State University in Baton Rouge, LA. She received her B.ARCH in May 2016. A native of New Orleans, Atianna is passionate about using design as a tool to assist under-served communities, and those affected by natural disasters. She is recognized as LSU School of Architecture’s first McNair Research Scholar with her research focusing on architecture and homelessness in New Orleans. With a drive towards academic excellence, community involvement, and professional development, Atianna was honored as an LSU Tiger Twelve recipient for the 2016 graduating class. Recently, Atianna was awarded a 2016 University of California at Berkeley Undergraduate Prize for Architectural Design Excellence Travel Fellowship, where she traveled to Haiti to further her research and examine the sheltering strategies/ resources that have been employed to assist those affected by the 2010 earthquake. Currently, Atianna is a Master’s Candidate in Disaster Resilience Leadership at Tulane University. Operating under the philosophy that good design can change lives, Amanda is an architect who seeks to be a part of projects and work with clients whose aim is to create positive impact on the world around them, near and far. Amanda is a Registered Architect based in Columbus, Ohio with 10 years experience, having worked for a variety of firms across the country. Her passion for accessible good design, challenging the status quo and a genuine curiosity for the world led her to start her own firm in 2016 to focus on these pursuits fully. Currently, she is serving on both the board of AIA Columbus and the board of the Young Ohio Preservationists, while also actively participating on a variety of other committees including the newly formed Committee for Equity, Diversity and Inclusion within AIA Columbus. Beau is a Project Designer at Michael Hsu Office of Architecture. 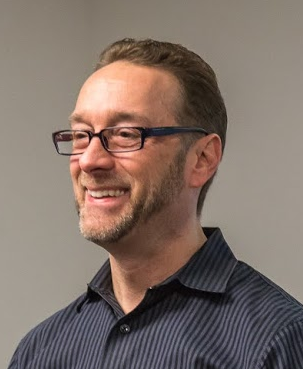 Beau served as the Chair of the community outreach component of his local AIA Austin chapter, the DesignVoice committee and currently serves on the Texas Society of Architects’ Board of Directors and on the National Associates Committee as the Regional Associate Director for Texas. Beau is passionate about social impact design and working with communities to design equitably and inclusively. He as led numerous public interest design charrettes for local nonprofits and developed outreach programs with the City of Austin promoting affordable housing. Beau’s civic engagement also includes serving as a Design Commissioner at the City of Austin and as a founding member of the Open Architecture Collaborative Austin chapter. Beau was honored with the 2016 Associates Award from AIA and the 2015 Texas Society of Architects Associate Member of the Year Award. 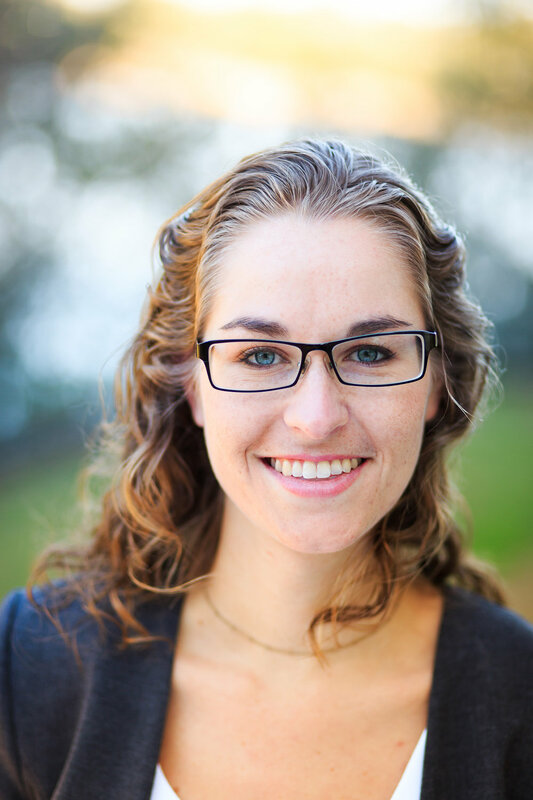 Sarah is an emerging professional in Charleston, SC working at Liollio Architecture. She graduated from University of Florida with her Bachelor of Design and Clemson University with her Master of Architecture. Her passion for design is rooted in a desire to give back to her community. She believes that design can make a difference. Julie Lam, Associate AIA, has been a member of Fung Associates Inc for approximately ten years before joining Prowork Pacific Inc. Her passion for AIA is evident in the committees and events that have been steered under her leadership- General Membership Meetings, Newly Licensed Architect, Young Architects Forum, and many others. Bryan is a design justice consultant and currently serves as the Place + Civic Design Director for the Arts Council of New Orleans. With a background in architecture, Lee is tasked with creating, advocating for, and contribute to, the creative intervention of public art and social impact design in civic spaces across New Orleans. Before joining the Arts Council, Mr. Lee spent time at 2014 AIA National Firm of the Year, Eskew+Dumez+Ripple (Architecture) in New Orleans. Mr. Lee leads two award winning architecture + design programs for high school students through the Arts Council and the National Organization of Minority Architects Louisiana Chapter, respectively. He is the founder of the Design Justice Platform and he serves on several boards including the National NOMA board as the Design Education Chair and on the National AIA Diversity and Inclusion Committee. He was selected as the 2014 NOMA member of the year, 2015 Next City Vanguard Fellow, 2015 International British American Project Fellow. Bryan has given TED Talk and a SXSW Eco Keynote on Design Justice. — Bryan C. Lee, Jr.
Maraya is an emerging Architectural professional in San Francisco. She has a M. Arch from Illinois Institute of Technology and B. Arch from Miami University. Her interests in equity, neurophenomenology, and anthropology inform her work at all scales - be it high-end hospitality, below market-rate feasibility studies, to two pedestrian bridges currently under construction. Kelsey is on a mission to redefine the role and responsibilities of architects to create solutions in affordable housing, public health, and social justice. She was a member of the 2016 Class of AIA Virginia’s Emerging Leaders in Architecture, and served as the communications coordinator for the 2016 AIA Leadership Institute. After cycling across the country with the nonprofit Bike & Build to raise funds and awareness for affordable housing, Kelsey was selected as an Enterprise Rose Fellow for 2017-2019 and is currently the Design Initiatives Manager at Urban Housing Solutions in Nashville. Kelsey holds a Bachelor of Architecture from Virginia Tech and never leaves home without a good pen. Korey White, AIA - Architect at RNL Design in Washington D.C.
Korey is a licensed architect at RNL Design in Washington D.C. During the work day, Korey focuses on transportation and infrastructure projects that are imperative to strong communities and improving the environment. In an effort to advance equity, diversity and inclusion, a committee has set inclusive metrics to be met in one year. She is currently the Chair of the National Associates Committee (NAC), representing all Associate members of the AIA. Korey is an advocate for the profession and was a founding member of the National Design Services Act Coalition, made up of students, Associate members and Young Architects from around the country, who are committed to finding a solution to high student loan debt and improving communities through design. Julia Weatherspoon, N.O.M.A - Designer at Perkins + Will in San Francisco, California. Julia is an emerging professional in the architecture field. She currently works at Perkins + Will in San Francisco. She works on commercial and civic projects. She enjoys finding new and innovative ways to connect with her surrounding. At work she is involved in her Office Culture Committee and Fair and Just Workplace Initiative. Julia remains curious about the built environment and believes that design should focus on the needs of the end user. She is passionate about promoting diversity and inclusion within the design industry and is interested in Social Responsibility Initiatives to better serve communities and youth pipeline programs to better educate and expose them to arts and science education. Julia also holds a leadership position on the executive board for the San Francisco Chapter of National Organization of Minority Architects amongst many more Bay Area non-profit organizations championing diversity and inclusion in the Bay Area. Thanks to our #EQxDHack17 Sponsors! EQxD Curated Collection for A'17 Orlando - What's in it for me? Why should I attend A'17 AIA Conference on Architecture in Orlando? I have been in many conversations the last few months with Architects, AIA Members, and the AEC community at large on this very question. There have been many critiques about the "EVENT" (formerly known as the "AIA Convention" nearly since it's original inception). The Keynote line up has been inconsistent from year to year and most recently under scrutiny for the sequence and representation of presenters. The continuing education programs are still predominately driven vendor content at the prime hours of the event while member authored seminars are relegated to the earliest and latest slots of the day. The Expo floor itself is an overwhelming scale of products, services, and more programming - at times bordering on information overload. At a point where there are many conferences and learning opportunities to attend, what is the value proposition for AIA members and professionals working in the built environment to attend A'17? In short many have asked, What's in it for me? I have attended a few "AIA Conventions" in my early professional career. They weren't memorable, except for perhaps a few Keynote speakers that I was interested in hearing; or keeping up with my continuing education in a "one stop shop" mode; or perhaps experiencing the architecture/urban design of the host city. However, in recent years, since the formation of Equity by Design, the AIA annual gathering has transformed into an entirely different opportunity with greater meaning and intent. We realized that in order to get our message out to a greater audience about Equity's importance to the future of Architecture, we needed to be present and engaged with members in a physical setting. We saw the need, so we submitted continuing education workshops and seminars with content of relevance to today's member needs at multiple levels. The AIA National (former Convention) Conference became a unique opportunity to interact with fellow members about the issues that mattered the most - talent retention, engagement vs. burnout, work/life flexibility, transparent promotion/pay equity, and leadership training - discovering new ways to think about the future of practice in Architecture, and develop a supporting "tribe" of like minded champions to support their professional goals while discovering their personal passions. We are very excited that for the 3rd year in a row, Equity by Design will be hosting programming at the A'17 Conference on Architecture in Orlando. See below for the 3 official program opportunities to join us in conversation about equitable practice. Special Interview w/ Equity by Design: Metrics, Meaning and Matrices Panel - Architect Live (#3863) in the exhibit hall is set up to be provocative, interactive educational programming with the energy and the format of a live talk show studio. The segments are exciting and fast-paced, at a maximum of 30 minutes long. We publish the schedule to all attendees so that they can come view as a live audience. Expo Pass/Registration to attend. In addition, the content is streamed live on http://www.architectonline.com/ and any presentation materials will be published there as well. And after it’s streamlined, the interview will be hosted on the ARCHITECT site in the video gallery. Equity is the ethos of our work. It is the ability to recognize differences and provide fair access to opportunities. At this session, we'll review the results of the most comprehensive research on equity in architecture. You'll leave with strategies that promote equity via professional development and grassroots organizational change. As you'll see, it's in your firm's best interest. "There are too many seminars and I can't find the one's that I find meaningful or relevant to my career development." To help solve this challenge last year, we also encouraged other members in our equity "tribe" to submit programs to address equitable practice. This year, to shorten your search, we went a step further, search through the ENTIRE schedule and expanded the EQxD Curated Collection of programs to those we viewed as having relevance to our larger discussion about equity's impact on design and the built environment. We are please to share our picks for A'17 if you have yet to decide on what you will attend. The impact architects can have on community leadership is immeasurable, from providing insight into community planning and architectural review to introducing and influencing critical legislation. This skills-based training workshop will help you become a better citizen architect through collaboration, innovation, and shared resources in a highly interactive setting. A powerful keynote on the "Impact of Public Dialogue as Citizen Architects" as well as a panel discussion and peer-to-peer breakout groups will inspire you to head back to your community and make substantial, effective contributions. As US cities struggle to serve and house homeless individuals and families, San Francisco has led the way in providing innovative solutions. The architect's role is at the core of this effort, demonstrating design's impact in bringing about positive social change. Join us for this seminar to hear from representatives of the San Francisco Mayor's Office of Housing and Community Development, who will discuss progressive public policy strategies. Plus, Leddy Maytum Stacy Architects and David Baker Architects will share their award-winning design responses. Whether you take a prominent place at the table or work quietly in the background, your role in shaping communities extends beyond any individual project. In this session, you'll explore the ins and outs of serving on design review committees, commissions, and boards. AIA has long supported and celebrated the work of "citizen architects." Such positions, handled well, offer you the chance to connect with the community and promote your knowledge and expertise. Join this discussion of best practices and learn how to secure opportunities for a rewarding experience. The deplorable living conditions found in 22 San Francisco public housing developments are a consequence of neglected maintenance, a lack of supportive services, and flaws in design. The San Francisco Housing Authority's radical response—selling off its housing stock to private developers and housing providers—offers lessons and opportunities for architects and designers. Under the action taken through the U.S. Department of Housing and Urban Development's Rental Assistance Demonstration program, buyers will maintain the properties as permanent low-income housing. Join us for this seminar to examine the rehabilitation, redesign, and infill of basic community facilities necessary to support healthy community life. How does architecture impact the social fabric of our communities? How can architecture be a catalyst for solving community challenges, driving social change, or creating engagement and progress? How does equity in design impact communities? A high-powered panel of architects who are pushing the boundaries in these and other areas of social and cultural concern discuss how architecture and architects can affect the social structure of communities across the globe and have measurable and practical effects on the way we live and interact with society. Join Rosa Sheng, AIA who will moderate a Keynoter speakers and practitioners who are making positive change in their projects and practice. How can we design delightful architecture that doesn't presume or privilege sight? What are best practices for design that appropriately address the visual and nonvisual needs of the blind and visually impaired? Explore how you can go beyond mere compliance with ADA codes to address the opportunities—not just the challenges—of the visually impaired. Using the new 40,000 GSF LightHouse for the Blind and Visually Impaired in San Francisco as an example, this session will address issues related to acoustics, lighting, and technology. You'll also explore general strategies for visual and non-visual design. While complying with ADA codes is necessary, you have the opportunity to produce designs that are not overtly adaptive or condescending. By attending this session, you'll discover how to give all users of your spaces—particularly the blind and visually impaired—a sense of delight. The human population explosion: crisis or opportunity? The numbers are stark, with two billion additional urban inhabitants expected by 2030. The fast-growing cities of Africa, Asia, and Latin America will feel the greatest impact. In this session, you'll see how architecture can improve the social, environmental, and economic well-being of these cities. You'll examine projects including Niger's Dandaji Library, a building with an adaptive reuse design featured in AIA's 2016 Emerging Professionals Exhibit. You'll also see architecture acting as a vehicle for sustainable development and prosperity when it emphasizes affordability, local materials, good governance, and community engagement. Join your colleagues for an inspiring discussion of architecture at its best, as we strive to build a better world for future generations. This spring marks the 10-year anniversary of a pivotal publication: Women in Green: Voices of Sustainable Design. What did it tell us—and what have we learned in the years since? A decade ago, the study's authors explored how and why women were leading in sustainable design more than in the field generally. Now, we'll examine the status of diversity in design, the role of sustainability, and firms' efforts to build more-diverse practices that are relevant to the work of the future. Hear from one of the authors, other leaders in the field, and your own peers and colleagues as we discuss a topic that remains timely and relevant to all of our work. Our profession is at its best when it reflects society's full diversity. People with disabilities make up a significant percentage of our population and contribute to our field's innovation and success. Are firms taking the right steps to support these employees? In this seminar, you'll join a discussion about effective ways firms can promote inclusion and support differently-abled professionals . You'll hear from a panel of differently-abled colleagues, and learn how simple strategies like flexible schedules and attention to mobility issues can make a tremendous difference to your peers'—and your practice's—success. Low vision is becoming an increasingly prominent design concern in America—one that presents architects with opportunities and responsibilities. In this interactive session, you'll examine best practices and big failures, and even participate in some problem-solving, as you learn the latest tools and strategies. An architect, lighting engineer, and optometrist from the NIBS Low Vision Design Committee will share state-of-the-art techniques you can apply in your work. With low vision already affecting 17 million people in this country's aging population, your practice is sure to benefit from their insights. Contentious public projects exist everywhere. The disgruntled citizen or outspoken neighborhood group can strike fear in the heart of clients that aren't prepared to confront conflict. As a design professional, you're charged with finding consensus among increasingly diverse user groups. What fundamental strategies can you employ to overcome stakeholder resistance and foster a deeper sense of trust and community cohesion? Join us for this panel discussion to learn about researching your community audience, finding the community champions, leveraging media, and other valuable tricks of the trade. Why do buildings fail during natural disasters and what will the future of architecture look like in the face of increasing risk? After 10 years of disaster response and recovery nationwide, the AIA Disaster Assistance Program is sharing emerging research and personal lessons from the third edition of the AIA Handbook for Disaster Assistance. Join us for this seminar to hear from those who've seen first-hand why buildings fail, how risk is increasing, the impacts of land use and building codes, and more. Stories from the field will convey a changing landscape for the practice—the impact of natural hazards and the pitfalls and opportunities in practice and community engagement. A trip to the emergency room is stressful for anyone, particularly children. How can architects help ease a child's mind by making the experience less tense and chaotic? One firm found a way, partnering with a health care institution and its Family Advisory Council for an innovative pro bono project. The result? An interactive multimedia tool that helps familiarize kids with the hospital environment. Join us to hear how the participants stretched their skills to enhance and promote well-being among our community's most vulnerable members—and consider how you might do the same. Nurturing new talent is crucial to a firm's long-term success. 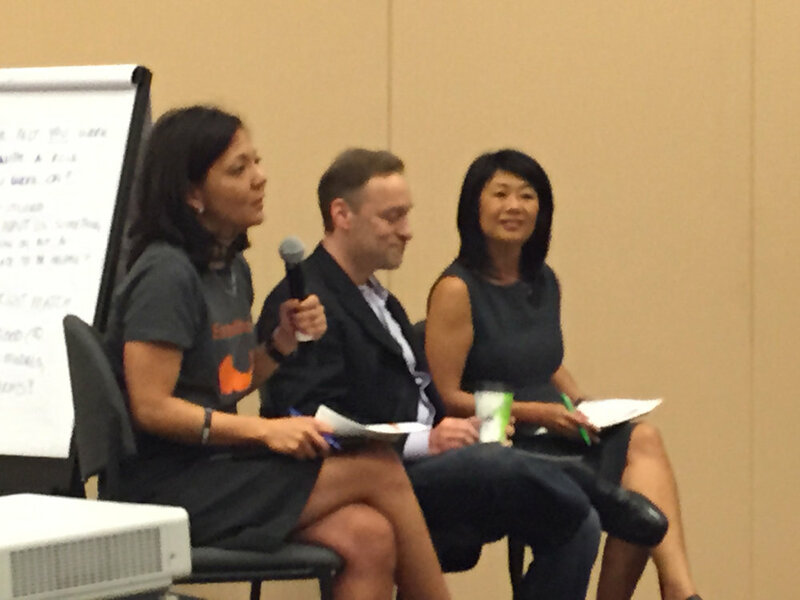 How do you retain that talent and develop emerging professionals into AEC industry leaders? In this session, you'll hear from colleagues with a proven record of success. Join us to analyze how three programs—representing architecture, engineering, and construction firms—elevate emerging professionals and collaborate across the AEC industry. Through case studies and candid conversations, you'll learn very specific strategies for building a leadership culture that meets the changing needs of new talent in your firm's specific setting. These are extraordinary times for our country and also our profession. Now more than ever, Architects need to be agile, open-thinking change agents while articulating core values and advocating for just living environments that our communities need and deserve. Future architects will need to develop "HACK" skills in order to adapt with the hyper-rapid speed of today's technology advancements. BE IN IT, TO WIN IT! Equity by Design is excited to announce that we will be providing our 3rd year of Scholarships to attend the much anticipated Pre-Conference workshop EQxD Hackathon [WE304] at A'17 Conference on Architecture in Orlando. This year's theme will be Architecture and the Era of Connection (and Disruption) on Wednesday April 26th from 1-5pm located at the Orlando Convention Center. The #EQxDHack17 Happy Hour will follow at a nearby location from 5:30-7:30pm to announce the winners.The scholarship is focused on providing access for Architecture School students, recent graduates, emerging professionals, and newly licensed architects to this "not to be missed" un-conventional workshop. This year we will have three new entrepreneurs within the AEC who will share there paths to ideation and deviation in pursuing their passions. Jason Campbell is an advocate for inter-disciplinary action. He has paired professional practice experience at Bohlin Cywinski Jackson, with academic instruction, and community engagement. He has coordinated architectural design studios at the U.C. Berkeley College of Environmental Design, is an architectural photographer, and is the co-founder and design director of ELL San Francisco. ELL is a flex-use platform for the exhibition of art, architecture, and design, emphasizing the mediation of disparate media and conceptual bases. Esther Sperber founded Studio ST Architects in 2003 after five years at Pei Partnership Architects, working closely with Mr. I M Pei. She was born and raised in Jerusalem, Israel. Her B. Arch is from the Technion and Masters from Columbia’s GSAPP. Studio ST’s work includes numerous high-end residential interiors, the 14th Street Y community center renovation, synagogues designs and international competitions. Their work has been published in architectural magazines and monographs. In 2008, Studio ST was included in Wallpaper magazine’s list of “World’s 50 Hottest Young Architectural Firms” and their Swell House received Architectural Record’s “Best Unbuilt House”. Esther Sperber writes and lectures on architecture and psychoanalysis, two fields that aim to reduce human distress and widen the range of our experiences. She has lectured widely and her essays have been published in the New York Times, Lilith Magazine, The Jewish Week, Ms Magazine and academic journals and books. Carlos Velazquez is the President and CEO of Epic Scan, Ltd. He has grown Epic Scan from an idea into a premier 3D service provider in the architectural, engineering and construction industries. Carlos has been involved with Light Detection and Ranging (LiDAR) since its inception and more recently advanced photogrammetry techniques. He has developed and implemented LiDAR system scanning strategies since 1999, completing hundreds of projects around the world across various industries - including architecture, archaeology, civil, forensic, heritage, marine, mining, nuclear and oil and gas. Carlos has worked in conjunction with equipment manufacturers to develop and improve laser scanning process and methods. A native Oregonian, Carlos loves to be outdoors with his family. His favorite activity is taking road trips across the states in the family RV. Lilian values a firm culture that embraces collaboration, connection to the community, risk taking and fostering talent. As one of the studio's Project Directors, she helps lead the design process and build teams that deliver aspirational outcomes. Lilian attended the University of California, Berkeley, where she earned her BA in Environmental Design and graduated with honors. After completing her studies, Lilian worked at architecture firms around the Bay Area, including Stanley Saitowitz, the City of San Francisco’s Bureau of Architecture, SOM and NBBJ. Recently completed projects include the International Terminal at SFO, the Salk Institute for Biological Studies Master Plan, the Center for Science and Innovation at USF, the L.S. Skaggs Pharmacy Research Building at University of Utah, and the 21st Century Learning Environments Guidelines for CSU East Bay. A leader within the Society for College and University Planning (SCUP), she organized the first-ever Hackathon for MOOC’s as part of the Pacific Regional Conference and is currently the Program Chair for the Pacific Regional Council. Lilian utilizes her experience as a practice leader and licensed architect to develop synergistic relationships with leaders throughout the architectural and educational communities. Deeply involved with the local community, Lilian works to raise awareness and help break the cycle of poverty in the Bay Area through her work as a Tipping Point Community Partner. Lilian also acts as Co-Chair of AIA San Francisco’s Equity by Design, a call to action for both women and men to realize the goal of equitable practice and communicate the value of design to society. Frances is an established and trusted leader as Vice- President of McCarthy’s Northern Pacific Division. Her visionary leadership has propelled the company forward as one of the largest commercial contracting firms in California. Frances launched her career in Architecture, where she developed an interest in the construction side of the business. As an industry expert, Frances is regularly called upon by local, trade and national media to address new and projected trends, and is considered a pioneer in advancing women in the construction field. 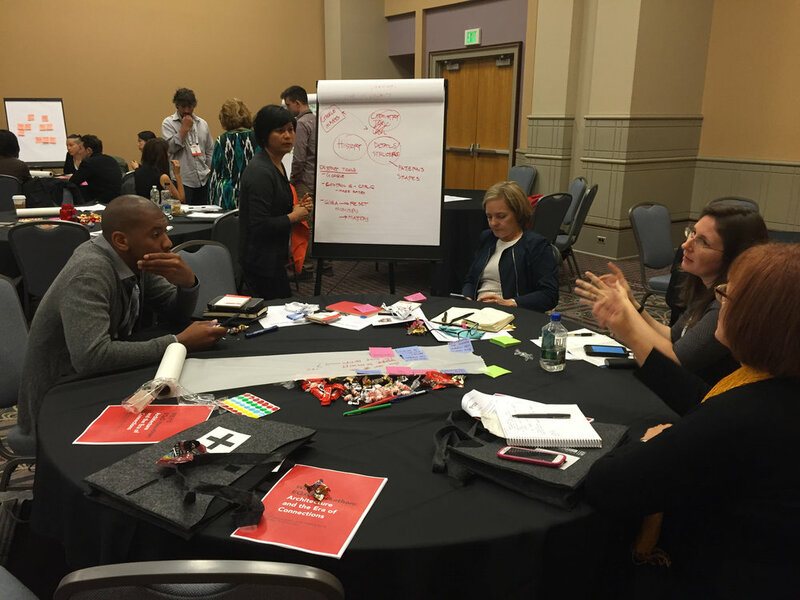 Last year, Frances was in the pioneering class of the Equity by Design Hackathon at the AIA Convention in Atlanta. This year, her fervor for hacking continues and she will help us select a winner. It always takes me a while to get over the post conference hangover. I attribute this to the introvert in me, the massive input of information jammed in my head, and the desire to sift through it all to find those few transformational insights that will shape how I think, what I understand and what I look forward to in the future – the “So What?”. On a recent afternoon, I gathered with my EQxD jury cohorts Anthony Gold (ROAR for GOOD) and Frances Choun (McCarthy Building Companies) to reflect on the 2016 Hackathon experience. I was listening closely for insights from two leaders who represent that ever so helpful, candid, relevant, and third party point of view. What surprised you most about the Hackathon? What did you find most memorable about the winning scheme? When you wore the hat as juror, what were you aiming to sharpen the focus on? What advice do you have for the participants post Hackathon? Which aspect of the experience will you cherish the most? Conversely, which is the area of greatest improvement we can consider for the future? The 2014 Equity in Architecture Survey revealed that a majority of respondents define satisfaction in the workplace as: engaging in projects of significance, working with a positive, talented, collaborative group (the “A” team), and having work/life flexibility. What’s interesting is that, Anthony and Frances also agree that the “A” team is the X factor. Let’s unpack this. The Hackathon teams bonded very quickly around great ideas, demonstrated exceptional ability to read one another but also drew out the best from each other, and maintained buzz by being focused and engaged in the present. “A” Teams work towards a there-there. The Hackathon teams drilled down into what is “sticky” and therefore relevant. They “took on” topics that span industries and generations. It takes courage to not only name the knots that need to be untied, but to seek to capture a viable idea that can be deployed to create impact. “A” Teams know how and when to pivot. The Hackathon teams got it. It’s a journey that requires you to think on your feet, draw on your passion, and be authentic, all while navigating a minefield. In other words, an A team with a B idea trumps an A idea with a B team, simply for the fact that execution matters far more than the idea. Yes, the idea needs to be good enough to address a market meet/opportunity, but only “A” teams have the insight, passion, and willingness to adjust course and continually drive toward a successful outcome. The Hackathon teams embraced the pace. This meant that they needed to figure out how to track action towards progress: by effectively editing along the way, communicating internally, knowing when to ask for clarifications (or help! ), and acknowledging that there is a benefit from healthy hierarchy. Cheers to the infectious nature of hackathons. Hooray for those who are the early adopters. Woo Hoo to trusting your intuition and sometimes just showing up to see where it takes you (and who you may meet along the way). And, Amen to being inspired and inspiring. This blog post concludes our 2016 Equity by Design Hackathon Blog Series. See you next year! 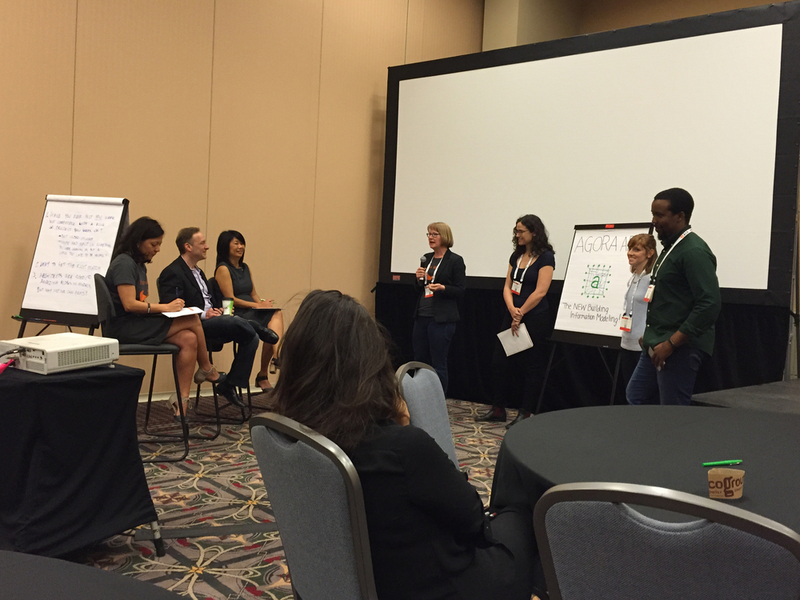 2016 EQxD Hackathon Reflections from Jason Campbell, Associate AIA, Shawna Hammon, AIA and Karen Bala, AIA (with Jan Harmon and Lisa Bates). It’s safe to say, AIA conventions are highly stimulating, nearing on overwhelming. There’s an existing urban fabric, in which 25,000 architects and designers are immersed for a three day period. Goals include learning and gathering as much information and resources as possible regarding your professional practice interests. Perhaps you like to keep your plan tailored, selecting a few key moments of educational opportunity. However, you still need to navigate a city’s wealth of activity. Fortunately, those involved in the Equity by Design 2016 Hackathon, left this session with a refreshing and enriching experience; one which created the right frame of reference for the days to come. And most importantly, a license to take on the pertinent issues we face in our field and everyday life. Arriving at this point was extremely fun, yet really difficult. Imagine standing around a white board with presumably nice and respectful individuals. You know very little about them beyond a general understanding of your divergent backgrounds. In a very short amount of time, you will be asked to identify, personal and professional commonalities, a common problem of interest in the field, and of course, a compelling and innovative process and solution to the problem. Here lies one of the fundamental principles of equitable and diverse thought, the more backgrounds and experiences you bring to the table, the more fruitful your results will be. Prior to the intensive group session, we tuned in for a panel discussion. Innovators and entrepreneurs took the stage and gave us a glimpse into their creative path and past experiences. They also happened to be our judges for our tailored pitch later in the afternoon. How can we, as architects, demystify the built environment? We pitched an app which, when coupled with a phone’s camera will create a reference tool for designers and DIY practitioners to learn more about the spaces we all inhabit. This will be an accessible means to create awareness and, in turn, make us more conscious of the actions that facilitate our existence. This app would allow anyone to take a picture of a building or a detail, and with that single image and keywords or hashtags, one could learn more about the design team involved on the project, historical precedent or reference, similar products, similar materials, or even molecular composition. We all have different areas of interest, and if we can identify the common thread between these areas, we can create an outlet to learn about something new. 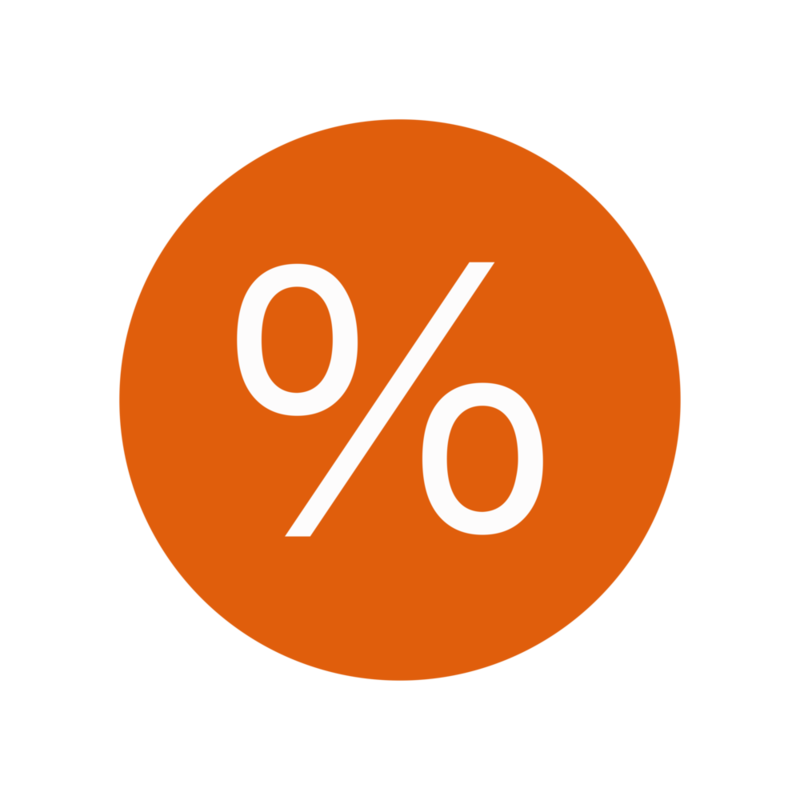 Finance - bootstrap and start small. You can’t control everything – resilience. At times, you will need to create your own equity. CALL FOR THOUGHT LEADERS - EQXD SYMPOSIUM ON 10/29 IN SAN FRANCISCO - JOIN US! EQxD Hackathon 2016 Team 3 - A Shared Experience by Julia Mandell,AIA, Hilary Barlow,AIA, Amy Kalar,AIA, and Obi Okolo. Teams listen to Anthony Gold for tips on delivering the Pitch. 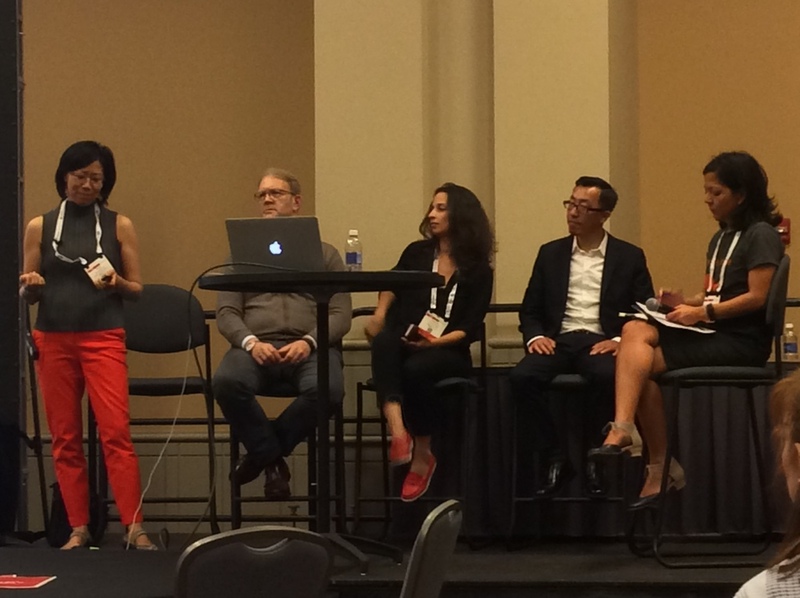 Accidental chance and random table selection brought the Agora team together at the Equity by Design Hackathon event at the American Institute of Architects (AIA) National Convention 2016 in Philadelphia. Comprised of three architects and one serial entrepreneur, creativity was bound to emerge from table four. Julia Mandell, Hilary Barlow, Obi Okolo, and Amy Kalar quickly progressed from a group of multidisciplinary strangers from across the country to team AGORA when asked to hack a challenge and propose a solution. 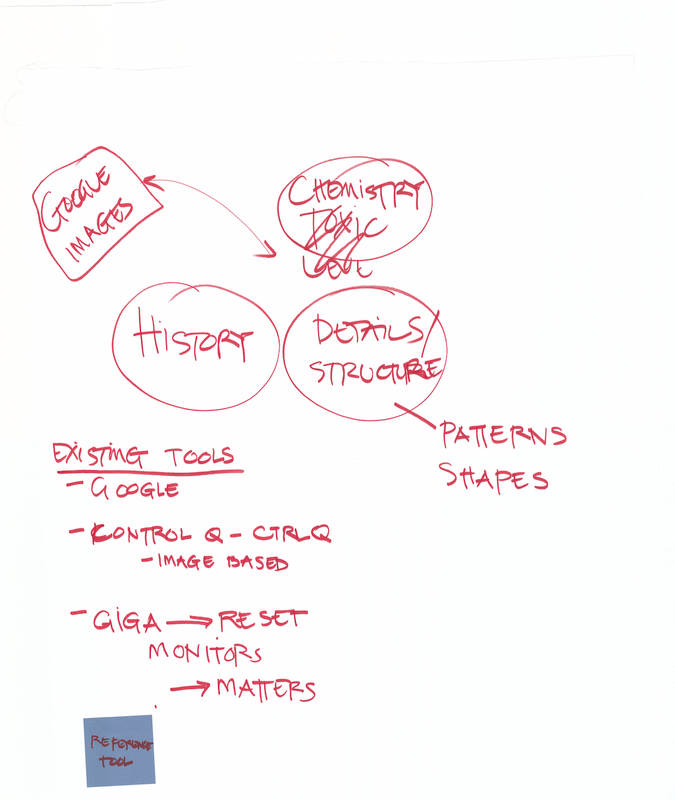 Choosing a problem in architecture practice to focus on and ‘hack’ was overwhelming at first. There seemed to be an endless amount of options and approaches we could have taken. As we brainstormed, no idea was off limits or incorrect. In fact, the more open we were, the more we were able to feed off each other and generate provocative ideas. We quickly learned not to be afraid to ask why or think outside of the box. After exploring many different ideas in rapid succession, we realized an underlying theme to our thoughts: EGO. In all the ideas our different knowledge bases generated, we all agreed on one thing: there is a lack of accountability for architects within our profession today— Architects are only accountable to themselves. There is a sense within the profession that architects know best, that we are the only ones who have access to elite knowledge about design. This contributes to a disconnect between architects (who are typically thought of as the “Old White Guys”) who currently dominate the profession and a more diverse public. There is also a disconnect within the profession, between that same demographic and the younger, more diverse generation that is the future of the profession. Many post-it notes later, we found our solution: AGORA—the New Building Information Modeling. Essentially a mash-up of yelp, geolocation, and cloud-based building information modeling, AGORA is a feedback software application that would link public comments on buildings to spatial tags within existing buildings. Tags would also provide information on the people and processes that had produced the building. And advanced design could also include a virtual reality component - you could read the comments and the process information in the building by scanning the tags with virtual reality goggles. By creating public engagement through feedback and social building, AGORA would hold architects accountable by the public. This would create an accessible feedback system for users that would contribute to the development of future buildings and increase public engagement. Simultaneously, AGORA would gather user feedback for professional use in the design of similar programs/sites/materialities and engage the public in the design process. Letting go of specifics and practicalities during the Hackathon allowed us to think unconventionally and hone in on a missing element within the profession. The fast-pace structure forced us to confidently choose something and run with it. As Julia stated, “the hackathon was a great reminder of the power of moving fast to get ideas out. The tight structure pushed us to move through the process.” One of the greatest challenges was distilling our idea into a cohesive and convincing argument within three minutes. We needed to condense all of our talking, brainstorming, and hacking into a clear and concise pitch that would win over the judges. Amy’s personal story on mother’s rooms and the need for public feedback on buildings helped us to connect with the audience and judges on a personal level. At the start we had no idea what our end result would be and it was fascinating to see how far and quickly we were able to develop our broad idea of ‘EGO’ into AGORA. We started as four strangers but left the Hackathon as team AGORA, a team passionate about agency and engagement. And after the Hackathon, Agora Team member, Amy Kalar, AIA and blogger of Archimom.Com shared some great news as an outcome for Agora App! "Well, it turns out someone from SXSW Eco heard the pitch for our idea and asked us to submit our idea for their Place by Design Competition. Really the Hackathon could be an entire post by itself (and if we are a finalist for SXSW Eco, it certainly will be!)" The Equity by Design 2016 Hackathon was one of the most empowering and perspective-expanding experiences of my architectural life. The lofty goals of the 4 hour session slowly emerged as the afternoon progressed. Beginning with presentations by design-oriented innovators, I, along with the other 24 session attendees, learned from the experts about ways to recognize problems and find solutions. We were challenged to “confront the status quo,” “Know the rules so we can break them.,” and were told, “Don’t think about your limitations – think about the possibilities.” Inspirational one-liners poured out of the presenters as they described their journeys. We also heard from Anthony Gold on how to perfect a presentation. This first hour of the workshop effectively riled us up for what was ahead. Then, dispersed into groups, we were challenged to identify a problem, create a solution, and present to a jury. The next 2 hours were a whirlwind of brainstorming, collaboration, and building off of the experiences and skills of our groupmates. 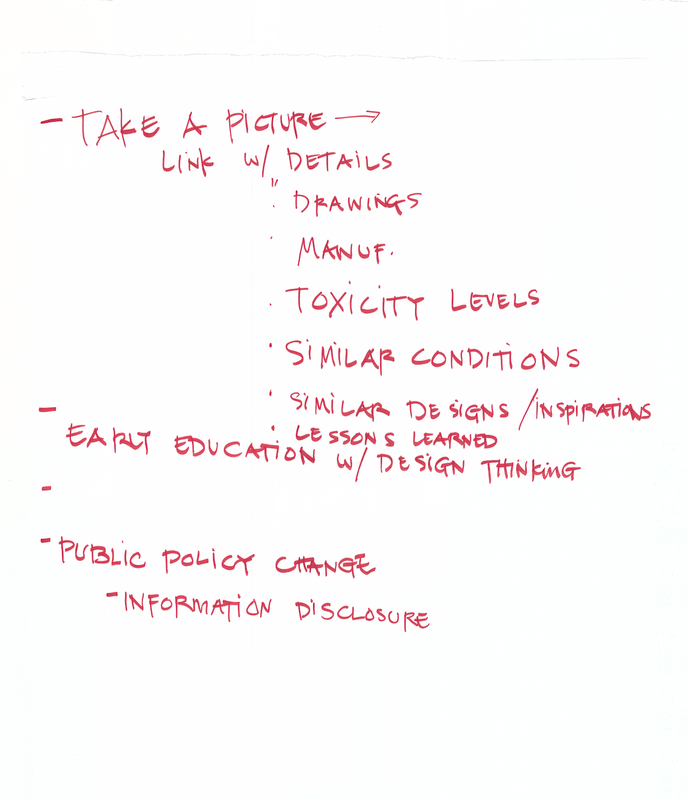 Charged with identifying a large-scale problem related to architecture, our group of designers, architects, and innovators struggled to land on one topic. We debated the problems facing students as they exited universities and entered the workforce. We discussed the limitations in software that created large learning curves for new employees and for seasoned architects alike. Finally, after touching on several different topics, we focused on the immense barriers to re-entry that most women face when attempting to re-enter the architectural profession after taking time off to start a family. With ever-evolving software, a need to stay relevant, and a pressure for all employees to be “billable,” it is currently very difficult for people who have taken a leave of absence from the field of architecture to find a firm willing to help them transition back into the profession. Our team proposed developing an online “matchmaker” that would pair employers with potential employees. Employers who were looking for part time or short-term work could create a profile and list what they were looking for and what they were willing to pay. Potential employees who desired to ease back into the profession would also create a profile listing their skills, availability, needs, and desired compensation. Employers and potential employees who had matching profiles would then be connected with each other for the potential of an interview. "I believe this type of collaboration is our future. This event was definitely a highlight of the conference. I appreciated the speakers cutting to the point and sharing the invaluable knowledge they have garnered. The team format challenged us to step outside our comfort zones and be part of a team that has no past or future, only the present. It somehow forces our egos to take a back seat to the creative process. Seamless interaction between all disciplines required to accomplish a single goal would be a masterpiece." "After listening to panelists and fueled with inspiration from their powerful stories, we were off to hack. I kept in mind the following things: trust your intuition, failures do not equal failures - failures are opportunities, speak up. Our task was simple! We were challenged to identify a problem in architecture and propose a solution." We presented our problem and solution to the jury in the form of a skit at the end of the 2 hour brainstorming session. Four other groups presented after us, tackling issues such as public architectural education, architecture detail libraries, user experiences of buildings, and intra-office employee management. Overall, the topics were unrestricted and broad. The solutions were innovative and future-focused. The energy of the afternoon was unparalleled. It opened my eyes, helping me envision a future unhindered by current problems in our profession, and helped me look past limitations to the possibilities. 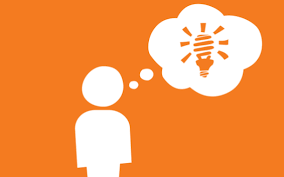 "It is quite exciting when you see different ideas coming together into one idea. It emerges out of the space we create as a group that organically starts to shape and take form. It is all about that power of creation and being connected to others. We collectively and collaboratively found a solution within a process that supported the success of all team members. It's like a match made in heaven - to carry the spirit of a hacker is a value that I will take with me whether in my role as a founder and design Director of RAW-NYC Architects or as my role as the future President of American Institute of Architects- Middle East Chapter."